We are writing to reaffirm our commitment to the unbreakable bond that exists between our country and the State of Israel and to express to you our deep concern over recent tension. In every important relationship, there will be occasional misunderstandings and conflicts. Our valuable bilateral relationship with Israel needs and deserves constant reinforcement. As the Vice-President said during his recent visit to Israel: "Progress occurs in the Middle East when everyone knows there is simply no space between the U.S. and Israel when it comes to security, none. No space." Steadfast American backing has helped lead to Israeli peace treaties with Egypt and Jordan. And American involvement continues to be critical to the effort to achieve peace between Israel and the Palestinians. I refer to your letter of Nov 20th 2007 to President Bush. I am writing to express my gratitude for your strong stance on ending the state of emergency, restoration of constitution, release of all political prisoners and protection of opposition leaders in Pakistan. I was deeply touched by your words especially demanding my release from prison. As you know, Pervaiz Musharraf has announced that his government will be holding general elections in Pakistan in January, 2008. I would like to bring to your attention factors that will render the elections farcical resulting in a non representative and ineffective parliament. 1- Consolidation of powers in the office of the President – In the last eight years since taking over the government through a military coup, Musharraf has systematically removed all systems of checks and balances that are essential to the working of a democracy. Specifically, through the 17th amendment in the constitution, he has also taken over many powers that should be resting with the Prime Minister in our parliamentary form of democratic government. A recent Gallup poll suggests that 82 % of Pakistanis want Musharraf to go. 2- Subversion of an Independent Judiciary – The only thing standing in the way of Musharraf and absolute power was an independent judiciary under Chief Justice Iftikhar Chaudry. By illegally declaring emergency rule (actually martial law ), Musharraf removed all the independent judges (60 out of a total of 95 ) from the senior judicial system of Pakistan and replaced them with relatively unknown people, who are widely perceived as his allies. With all the independent judges under arrest, who will monitor the elections and provide justice to the aggrieved parties? 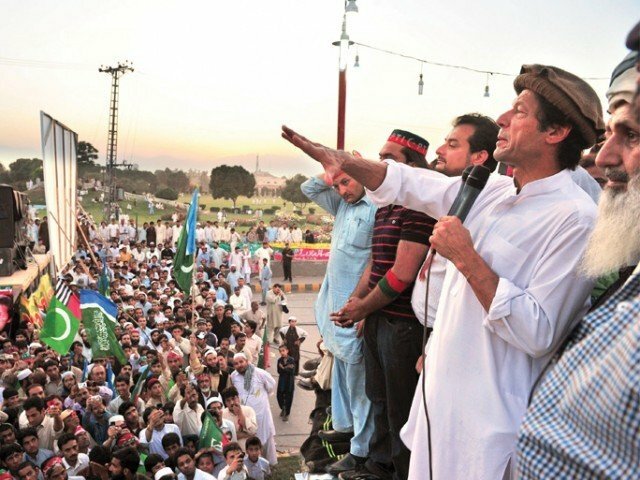 My political party Pakistan Tehreek-e-Insaf, along with several other major political parties in Pakistan and civic groups all over the country have decided to boycott the upcoming elections until and unless the independent judges are restored to the pre Nov 2nd 2007 status. Congressman Braley, I request you to educate and inform your colleagues in the United States Congress that without the restoration of an independent judiciary, elections in Pakistan will neither be fair nor acceptable to a majority of Pakistanis and will lead to further unrest and turmoil. I write to you not as a politician but as an individual concerned about the fundamental rights of a people of the world to another who shares his concerns. Once again thank you for your efforts in requesting for my release. Mr. Imran Khan says that American People don't know:) Well that was new because if Imran is getting help from a US Democrat Congressman then Imran Khan and all those nincompoops who were with him yesterday's "Yahoo Show" should read this Democratic Administration Breakup. What change Sir? There is no change forget it. 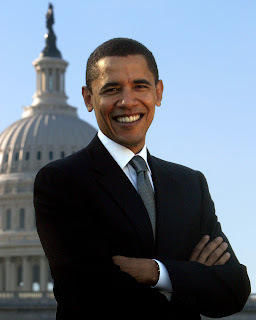 Have you closely watched the selection of Mr Obama for his incoming Administration? US President Barack Obama would enjoy the Excellent Company of a Zionist, A Former CIA Chief i.e. a Contra Crook and last but not the least a Hindu Fascist. 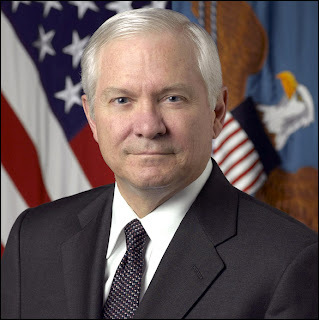 On December 1, 2008, President-elect Obama announced that Robert Gates would remain in his position as Secretary of Defense during his administration. Lets have a look at the past of Robert Gates. An Iran-Contra crook and ex-CIA chief is immediately greeted as a sane, grown-up yet “fresh” replacement for the delusional old Donald Rumsfeld. Even more fun, Gates’ nemesis Daniel Ortega was elected president of Nicaragua on Monday. You may remember Ortega as the Sandinista leader who fought off the Contras in a long bloody “civil war” in large part engineered by … Oliver North, William Casey and deputy CIA director Robert M. Gates, among others. North, a convicted felon and official fall guy for Iran-Contra, was in Nicaragua last week campaigning against Ortega. History doesn’t just repeat itself; it repeats itself with the same exact people. Editor's Note: Part 3 of our series about the "Original October Surprise" of 1980 addresses the troubling question of whether disgruntled CIA officers collaborated with their former boss, George H.W. Bush, to sabotage President Jimmy Carter's Iran-hostage negotiations - and thus changed the course of U.S. political history. With little more than a month to go before the U.S. election, Republicans and Iranian representatives continued to meet in Washington. Indeed, one of the first public references to secret Republican-Iranian contacts was to a meeting at the L'Enfant Plaza Hotel supposedly in late September or early October. Three Republicans - Allen, Silberman and Robert McFarlane, an aide to Sen. John Tower - have acknowledged a session with an Iranian emissary at the hotel. But none of them claimed to remember the person's name, his nationality or his position - not even McFarlane who purportedly arranged the meeting. In early October, Israeli intelligence officer Ari Ben-Menashe said he learned from superiors in Israel that Carter's hostage negotiations had fallen through because of Republican opposition, according to his memoirs, Profits of War. The Republicans wanted the Iranians to release the hostages only after the Nov. 4 election, Ben-Menashe wrote, with the final details to be arranged in Paris between a delegation of Republicans, led by George H.W. Bush, and a delegation of Iranians, led by cleric Mehdi Karrubi. Also present, Ben-Menashe wrote, would be about a half dozen Israeli representatives, including David Kimche, and several CIA officials, including Donald Gregg and Robert Gates, an ambitious young man who was considered close to Bush. 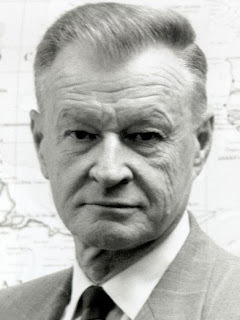 At the time, Gates was serving as an executive assistant to CIA Director Stansfield Turner. In retrospect, some of Carter's negotiators felt they should have been much more attentive to the possibility of Republican sabotage. "Looking back, the Carter administration appears to have been far too trusting and particularly blind to the intrigue swirling around it," said former NSC official Gary Sick. By October 1980, however, Carter was clawing his way back into the presidential race, with the possibility that an Iranian hostage settlement still could change the dynamic of the campaign. Sensing the political danger, the Republicans opened the final full month of the campaign by trying to make Carter's hostage negotiations look like a cynical ploy to influence the election's outcome. On Oct. 2, Republican vice-presidential candidate George H.W. Bush brought up the issue with a group of reporters: "One thing that's at the back of everybody's mind is, 'What can Carter do that is so sensational and so flamboyant, if you will, on his side to pull off an October Surprise?' And everybody kind of speculates about it, but there's not a darn thing we can do about it, nor is there any strategy we can do except possibly have it discounted." With Bush's comments, Carter's supposed "October Surprise" was publicly injected into the campaign. But there was "a darn thing" or two that the Republicans could do - and were doing - to prepare themselves for the possibility of a last-minute hostage release, including gathering their own intelligence about the Iranian developments. Little scraps of news and rumors about the hostages were rushed to the campaign hierarchy. Richard Allen recalled one urgent memo he wrote when he was told by a journalist that Secretary of State Edmund Muskie had floated the possibility of a swap of military spare parts for the hostages. Like a scene in a spy novel, Allen coded the journalist as "ABC" and Muskie as "XYZ" and compiled a quick memo on the hot news. "I breathlessly sent this out to the campaign, to [campaign director William] Casey, to [pollster Richard] Wirthlin, to [senior adviser Edwin] Meese, I think [to] the President and maybe [to] George Bush." The big October Surprise question, however, has always been whether the Reagan-Bush campaign sealed the deal for a post-election hostage release with direct meetings in Paris between senior Iranians and senior Republicans, including vice presidential candidate George H.W. Bush. The idea of Bush slipping away during the final weeks of the campaign for a secret trip to Paris has always been the most explosive part of the October Surprise story and, for many, the most implausible. The secret trip would have required the cooperation of at least a few Secret Service agents who would have had to file inaccurate reports on the candidate's whereabouts and activities. The trip also would have carried a high political risk if exposed, though the senior George Bush's experience at the CIA had taught him a lot about how to contain embarrassing disclosures especially when a national security claim could be asserted. If a flat denial didn't work, perhaps he could have tried a patriotic cover story about trying to get the hostages home when Carter couldn't. But often the most effective tactic is simply to deny, deny, deny. Ben-Menashe said he was in Paris as part of a six-member Israeli delegation that was coordinating the arms deliveries to Iran. He said the key meeting occurred at the Ritz Hotel in Paris. "We walked past the vigilant eyes of the French security men to be confronted by two U.S. ecret Service types," Ben-Menashe wrote in Profits of War. "After checking off our names on their list, they directed us to a guarded elevator at the side of the lobby. Stepping out of the elevator, we found ourselves in a small foyer where soft drinks and fruits had been laid out." Ben-Menashe said he recognized several Americans already there, including Robert Gates, Robert McFarlane, Donald Gregg and George Cave, the CIA expert on Iran. "Ten minutes later, [cleric Mehdi] Karrubi, in a Western suit and collarless white shirt with no tie, walked with an aide through the assembled group, bade everyone a good day, and went straight into the conference room," Ben-Menashe wrote. "A few minutes later George Bush, with the wispy-haired William Casey in front of him, stepped out of the elevator. He smiled, said hello to everyone, and, like Karrubi, hurried into the conference room. It was a very well-staged entrance. My last view of George Bush was of his back as he walked deeper into the room - and then the doors were closed." “In the Spring of 1982, Iraq teetered on the brink of losing its war with Iran,” Teicher wrote. “The Iranians discovered a gap in the Iraqi defenses along the Iran-Iraq border between Baghdad to the north and Basra to the south. Iran positioned a massive invasion force directly across from the gap in the Iraqi defenses. An Iranian breakthrough at the spot would have cutoff Baghdad from Basra and would have resulted in Iraq’s defeat. … In June 1982, President Reagan decided that the United States could not afford to allow Iraq to lose the war to Iran.” Teicher wrote that he helped draft a secret national security decision directive that Reagan signed to authorize covert U.S. assistance to Hussein’s military. “The NSDD, including even its identifying number, is classified,” Teicher wrote. According to the Teicher Affidavit given in a 1995 Miami criminal case, Robert Gates was very involved in the Iran-Contra Affair. This contradicted Gates' earlier assertions he was "left out of the loop." Gates apparently helped funnel weapons to Iraq as others sold arms to Iran. As reported by Consortium News, "The effort to arm the Iraqis was “spearheaded” by CIA Director William Casey and involved his deputy, Robert Gates, according to Teicher’s affidavit. “The CIA, including both CIA Director Casey and Deputy Director Gates, knew of, approved of, and assisted in the sale of non-U.S. origin military weapons, ammunition and vehicles to Iraq,” Teicher wrote." Additonally, Gates was integral in the original "October Surprise." TruthOut reports that Gates was involved in a meeting with Iranian representives to plan the timing of the release of American hostages held in Iran during President Carter's term. "With little more than a month to go before the U.S. election, Republicans and Iranian representatives continued to meet in Washington. Indeed, one of the first public references to secret Republican-Iranian contacts was to a meeting at the L'Enfant Plaza Hotel supposedly in late September or early October. The Republicans wanted the Iranians to release the hostages only after the Nov. 4 election, Ben-Menashe wrote, with the final details to be arranged in Paris between a delegation of Republicans, led by George H.W. Bush, and a delegation of Iranians, led by cleric Mehdi Karrubi. Also present, Ben-Menashe wrote, would be about a half dozen Israeli representatives, including David Kimche, and several CIA officials, including Donald Gregg and Robert Gates, an ambitious young man who was considered close to Bush. At the time, Gates was serving as an executive assistant to CIA Director Stansfield Turner." Robert M. Gates was the Central Intelligence Agency's deputy director for intelligence (DDI) from 1982 to 1986. He was confirmed as the CIA's deputy director of central intelligence (DDCI) in April of 1986 and became acting director of central intelligence in December of that same year. Owing to his senior status in the CIA, Gates was close to many figures who played significant roles in the Iran/contra affair and was in a position to have known of their activities. The evidence developed by Independent Counsel did not warrant indictment of Gates for his Iran/contra activities or his responses to official inquiries. Gates was an early subject of Independent Counsel's investigation, but the investigation of Gates intensified in the spring of 1991 as part of a larger inquiry into the Iran/contra activities of CIA officials. This investigation received an additional impetus in May 1991, when President Bush nominated Gates to be director of central intelligence (DCI). The chairman and vice chairman of the Senate Select Committee on Intelligence (SSCI) requested in a letter to the Independent Counsel on May 15, 1991, any information that would ``significantly bear on the fitness'' of Gates for the CIA post. now the vice president, he played a prominent part as a member of the joint congressional Iran-Contra inquiry of 1986, taking the position that Congress deserved major blame for asserting itself unjustifiably onto presidential turf. He later pointed to the committees' Minority Report as an important statement on the proper roles of the Executive and Legislative branches of government. 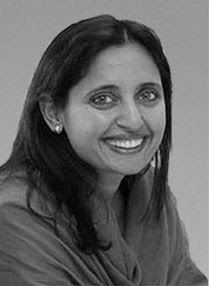 The economist of Indian origin on President-Elect Barack Obama's transition team, Ms. Sonal Shah, has one dubious credential on her resume--her relationship with the Hindu extremist group, Vishwa Hindu Parishad (VHP). 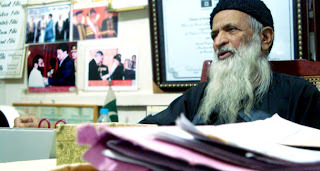 This militant group was held responsible for the genocidal pogroms against Muslims in the western Indian state of Gujarat in 2002 that killed 2,000 people and rendered 100,000 homeless. Ms. Shah was the "National Coordinator" for the VHP in North America . 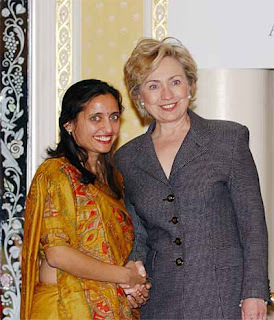 So the lingering question is: why hasn't the Obama team vetted enough on Ms. Sonal Shah's Hindu extremist connections? The likely suspects have picked up the phone and moved to the transition headquarters. Among them is a former CAP fellow and now Google employee, Sonal Shah. 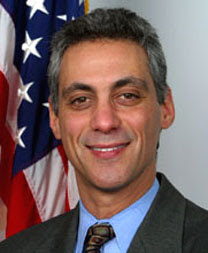 Shah is well known in the South Asian American community, and is a fixture in the Washington liberal circuit. The latter know her for her Democratic credentials, most of which seem to lie somewhere between neo-liberalism and welfare liberalism. The bleeding heart pauses, but then ticks again to the tune of pragmatism. This is perfect material for the CAP, which is hardly enthusiastic about the Democratic Leadership Council’s total commitment to triangulation (which means capitulation to conservatism), but it is not averse to a little political calculus itself. Shah, a product of the University of Chicago, shined her corporate shoes at Anderson Consulting (who was Enron’s accountant), which probably made it easier for her to go into Clinton’s Treasury Department, where she helped Robert Rubin put a U. S. stamp on the post-1997 Asian economic recovery. The corporate side was balanced with an interest in the ideology of “giving back.” When Bush took office, Shah went to the Center for Global Development, and while there joined her brother Anand in forming Indicorps. Knowing full well the desire among many South Asian Americans to give back to their homeland, the Shahs created an organization to help them go and volunteer in India, to do for them what the Peacecorps did for young liberals in the 1960s. Shah left the CAP to work for Goldman Sachs, and then went to Google. Shah’s story is not unlike that of most of the CAP fellows, many of whom honed their dexterity at trying to reconcile the irreconcilable, capital and freedom, private accumulation and human needs. But there is a less typical side to the Shah story. Born in Gujarat, India, Shah came to the United States as a two-year old. Her father, a chemical engineer, first worked in New York before moving to Houston, and then moving away from his education toward the stock market. The Shahs remain active in Houston’s Indian community, not only in the ecumenical Gujarati Samaj (a society for people from Gujarat), but also in the far more cruel organizations of the Hindu Right, such as the Vishwa Hindu Parishad (VHP), the Overseas Friends of the BJP (the main political party of the Hindu Right) and the Ekal Vidyalaya. Shah’s parents, Ramesh and Kokila, not only work as volunteers for these outfits, but they also held positions of authority in them. Their daughter was not far behind. She was an active member of the VHPA, the U. S. branch of the most virulently fascistic outfit within India. The VHP’s head, Ashok Singhal, believes that his organization should “inculcate a fear psychosis among [India’s] Muslim community.” This was Shah’s boss. Till 2001, Shah was the National Coordinator of the VHPA.